As much as I love Christina Aguilera, I was pretty bummed out when I learned that Gwen Stefani would not be on this season of The Voice. I just wanted to see her sitting with Blake Shelton being all cute and couple-like, but, whatever, at least Gwen Stefani was back on The Voice to perform her new single "Misery" from her album This Is What The Truth Feels Like. It was nice seeing her back on the show even if she is not one of the coaches. 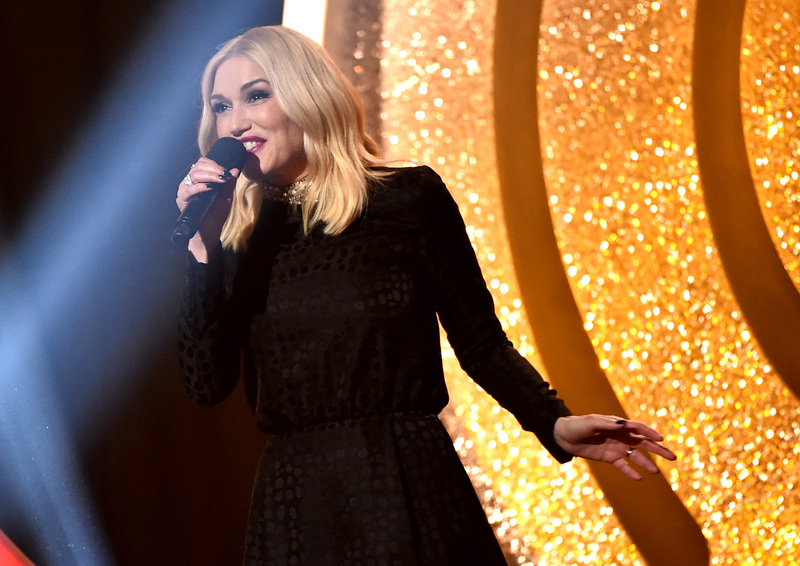 In typical Gwen Stefani fashion, the performance was far from boring. She was working the stage, there were a ton of dancers bopping along to the track, and she was rocking an unconventional hairstyle that I did not really understand. She worked it, though, of course. And, it really made me miss having her on the show. Can't she come on as a fifth judge or something next time? As you expected, Blake Shelton had a super cute reaction to Gwen's performance. He and the other three judges gave her a standing ovation when she was done with her song. Blake was also super pumped about the performance before it happened as evidence by his affectionate response to Gwen's tweet about her return to the show. And, it was clear that he and everyone else present loved her song. She killed it.